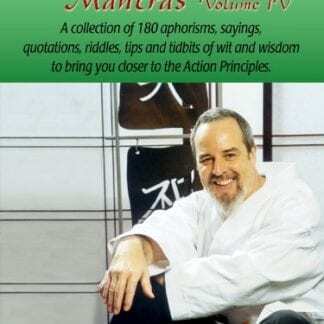 View each day through the eyes of a martial arts master. If you have a tough mind and a compassionate heart, you can achieve extraordinary success and happiness. Reading and living the Action Principles® gives you a new opportunity to revitalize your life and do what you know you should be doing. The Action Principles® help us to develop a mental and physical toughness to handle the rigors of everyday living as we work toward our goals. 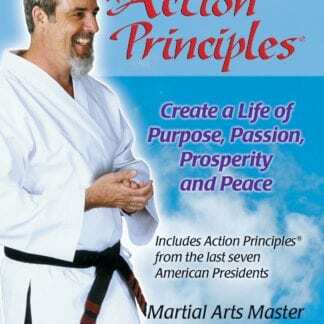 The Action Principles® help us to develop a mental and physical softness expressed in an inner peace from the knowledge that we are doing our best. 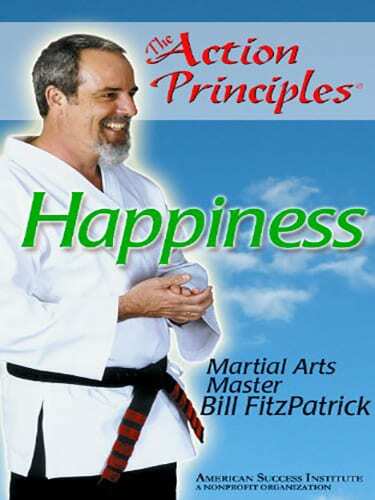 In this special edition, Bill adds 25 Action Principles® specifically focusing on happiness. Life is about choices and you choose to be happy. You are self-reliant and you decide to surround yourself with good people and good things. You are loving and generous. By choice and without complaint, you take satisfaction in accepting the challenge to do more for yourself and others. You decide to work hard to have the resources to enjoy a multitude of wonderful options. You know how to have a good time. You smile and laugh a lot. As you grow, you are increasingly satisfied with what you already have. You are happy. The last seven American presidents as well as many leaders in government, the military, religion, sports and entertainment have written Action Principles® which can be found on http://www.Success.org.